The 2017 Christmas season has an array of offerings to keep Brummies entertained. Bringing alive the festive fun, there's something to suit everyone, from the young to the old. 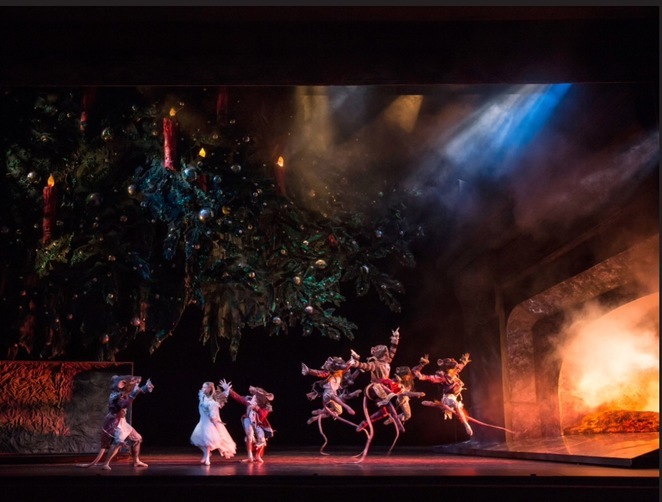 Ranging from ballet to pantomimes, Christmas-themed plays, musicals and light shows, here is a round-up of the top things to do in and around Birmingham this Christmas. Shakespeare's comic story of unrequited love and mistaken identities has a top cast including Adrian Edmondson and Kara Tointon in this RSC production. Christopher Luscombe, who directed the RSC's Love's Labour's Lost and Much Ado About Nothing several Christmases ago returns to tackle what has been called Shakespeare's greatest comedy. There's twins parted by a shipwreck who must fend for themselves while coming across a cavalcade of characters. It's all a lot of fun. Expect glamorous costumes and scenery too if previous Luscombe productions is anything to go by. See the RSC website for tickets, which cost from £10 to £62.50. Sure to sell out quickly so bag tickets when you can. 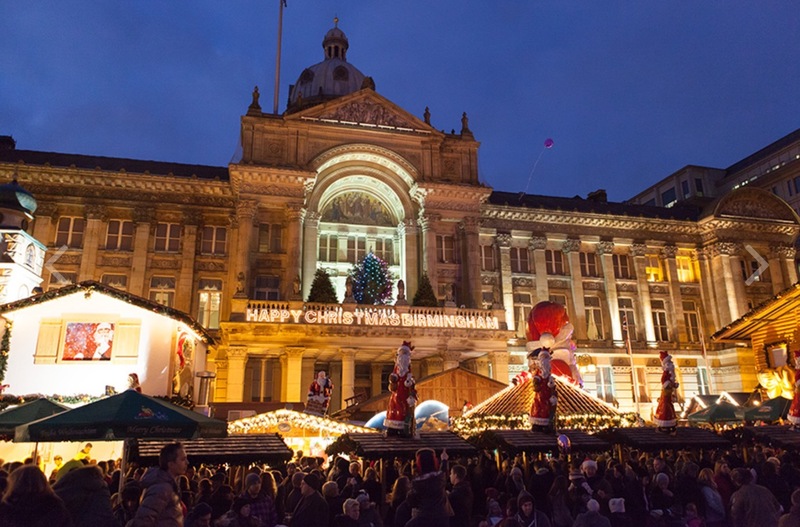 Open from 10am to 9pm every day, the German market is at the heart of Christmas celebrations in Birmingham each year. Fill up on German sausages, extremely garlic flavoured bread, chocolate covered fruit, beer, mulled wine, hot chocolate and much more at hundreds of pretty wooden stalls. There's plenty of ideas for presents too plus a singing moose and band on in the evenings. See the Christmas market website for more information. Based on Robert Harris' best-selling Cicero trilogy, Gregory Doran directs Richard McCabe in the epic title role for the RSC. 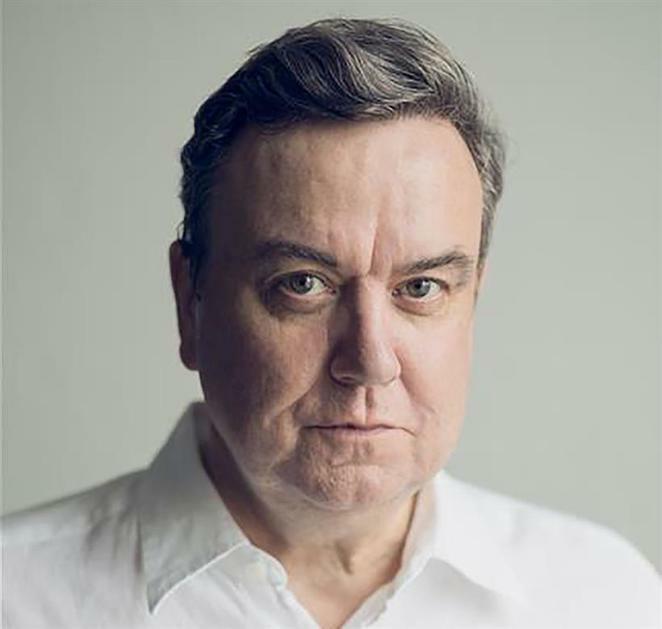 Richard McCabe plays the lead role in Imperium. The power and politics of ancient Rome is the focus of this drama that is being told over two productions. The first part is titled Conspirator and Part II is titled Dictator. Fans of the books will be keen to see this adaptation to stage while it will also appeal to those who like a political thriller. Visit the RSC website for tickets. 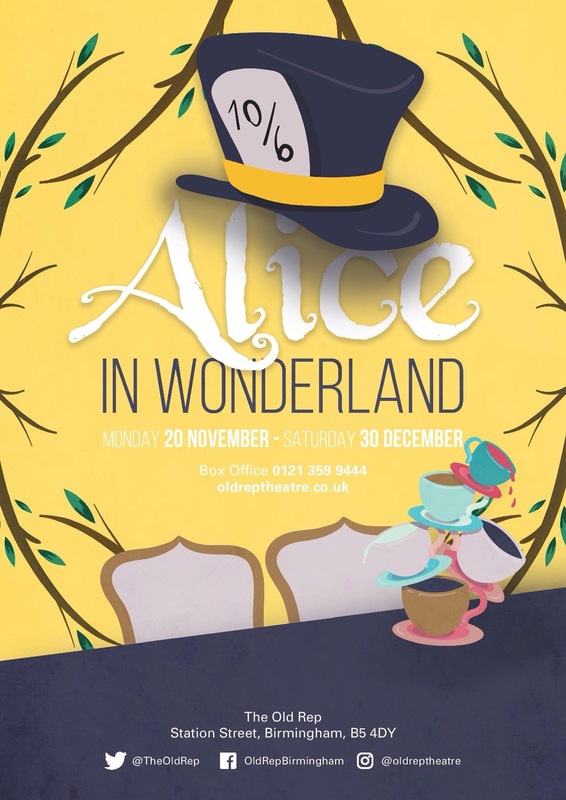 Go down the rabbit hole for a new version of Lewis Carroll's adventure at The Old Rep. This is the third Christmas production produced by Birmingham Ormiston Academy with Grace Dean taking on the title role of Alice and Alec Fellows-Bennett playing the Mad Hatter. An ensemble cast of 26 teenage students from The Academy will perform alongside the professional cast. The Cheshire Cat will be extra-special for this production of Alice as it will be a puppet cat. There will also be a digital rabbit hole in this child-friendly show. Tickets cost from £13.80 children to £16.50 adults from the Old Rep website. 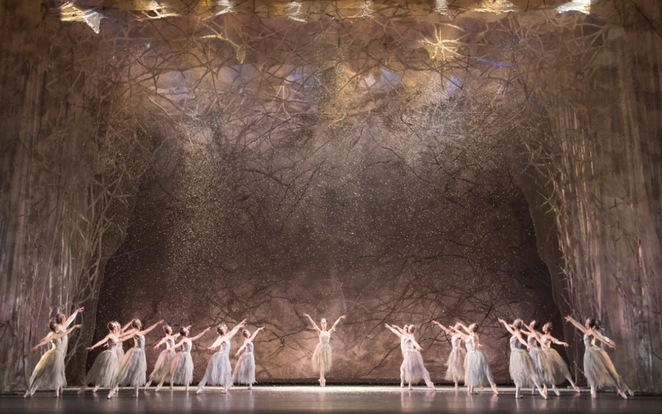 Birmingham Royal Ballet's divine and magical epic show traditionally heralds the start of the festive season. 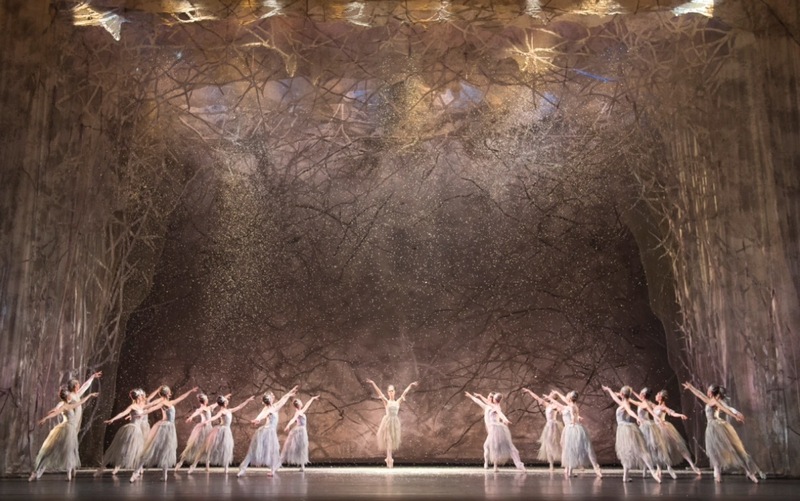 A ballet for all the family, there's a huge Christmas tree, snowflakes, and fairies. It is guaranteed to put you in the Christmas spirit and enchant you with the beautiful dancing and wonderful soundtrack by Tchaikovsky. It's continuously faultless, elegant and high quality with lavish costumes and sets, plus a flying goose and a snowstorm that all ages will adore. It's a must-see. Visit Birmingham Royal Ballet website for tickets. 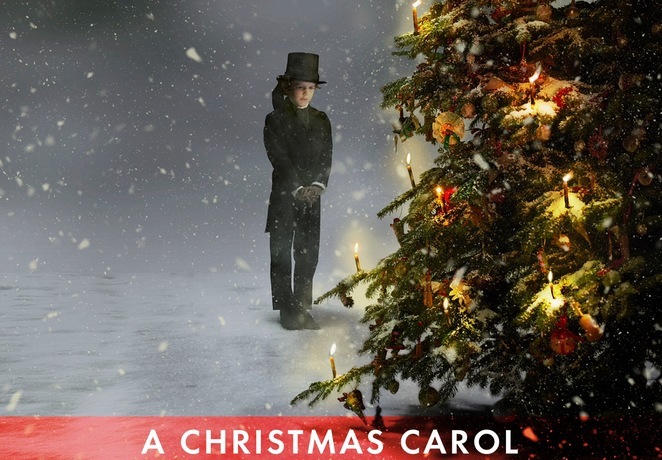 Charles Dicken's ultimate Christmas tale is tackled by the Royal Shakespeare Company (RSC). Scrooge, Tiny Tim and the ghosts of Christmas past, present and future are all there to entertain in this classic well-loved tale. Excitingly, well-known actor Phil Davis has been cast as Ebenezer Scrooge. A great choice. Directing this child-friendly version of the story is Rachel Kavanaugh, who comes to the RSC after success in the West End with her award-winning production of Half A Sixpence. The play is suitable children aged seven and over with the added bonus that children get half price tickets. Visit the RSC website for tickets and more details. 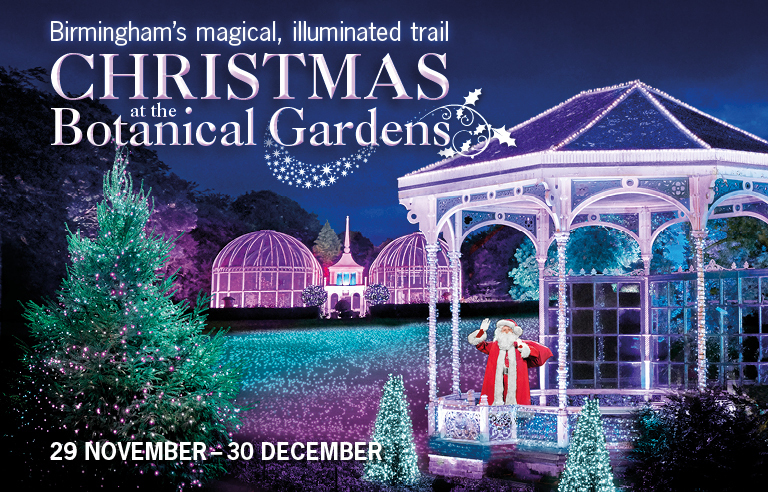 The stunning glasshouses and grounds at Birmingham's historic Botanical Gardens in Edgbaston will be lit up with dazzling lights for this special festive experience. The trail around beautifully lit trees, hanging giant crystals, And even a carol-singing cedar coppice is exciting for children and romantic for couples. Additional attractions at the new event for 2017 include a flickering Fire Garden, a twinkling Pealight Tunnel and stop-off for a kiss at the Mistletoe Moment. Visit the Botanical Gardens website for ticket information and booking. Adults cost £14 entry and children £8. Dodie Smith's adventure is being transferred to stage for a child-friendly show this Christmas. Will puppy love save the day? 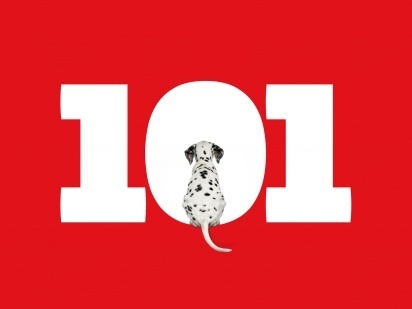 The story follows Dalmatians Pongo and Missis whose blissful life with their owners Mr and Mrs Dearly comes under threat from villain Cruella de Vil sets her sights on stealing their adorable puppies - to turn them into a fur coat. A well-loved story that is sure to mesmerise all ages during the holiday season. Age guidance is five and over. Tickets cost £15 from the Rep Theatre website. The stage version of the iconic feel-good film is on tour and stars Strictly Come Dancing winner Joanne Clifton in the lead role. 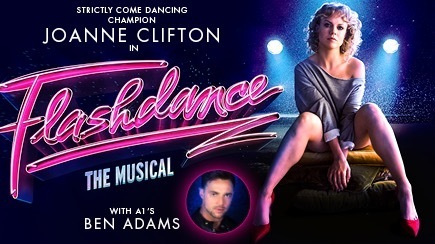 Joanne Clifton plays dancing welder Alex. She is joined by heartthrob Ben Adams in the story about female welder Alex who dreams of being a professional dancer. So, get ready for scintillating dance routines, romance and great music including What A Feeling, Maniac and Gloria in the run-up to Christmas. The age guidance for this show is 11 . Visit the ATG Theatre website for tickets, which start at £20. Snow White at the Palace Theatre stars Britain's Got Talent winner Jai McDowall as the handsome prince, while kids' TV legend Dave Benson Phillips brings the laughs as funny man Muddles. Telling the story of Snow White and how her evil stepmother tries to kill her, the panto is full of the usual Christmas songs and antics. Nicole Faraday (Bad Girls and Emmerdale) plays the Wicked Queen. Tickets cost from £13.50 and are available from the Palace Theatre website. Christmas concerts, carol services and readings take place between Town Hall and Symphony Hall throughout the festive season. 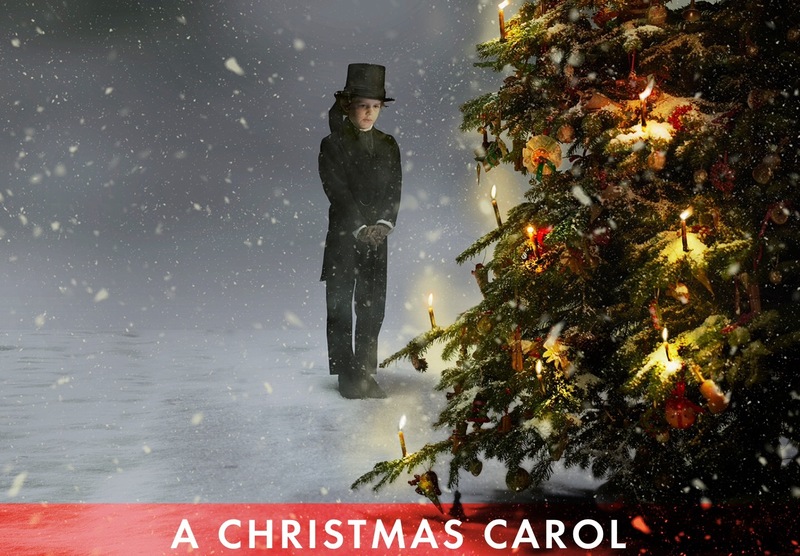 Among the highlights is a reading of A Christmas Carol in Birmingham Town Hall on Sunday December 17. This is particularly apt as in December 1853, Charles Dickens chose A Christmas Carol for his first ever public reading in Birmingham Town Hall. Over 160 years later, Clive Francis recreates the occasion, bringing to life the story. The first half features a delightful introduction that explain more about that first reading at Town Hall and Dickens' exploits in Birmingham. There's an array of other concerts and treats include Christmas with Katherine Jenkins at Symphony Hall on December 17, and a Christmas Spectacular at Symphony Hall with Alan Titchmarsh on December 23. Visit the Town Hall Symphony Hall website. With 57 major awards to its name including an Olivier Award, Jersey Boys is one of the hottest tickets in town this Christmas. 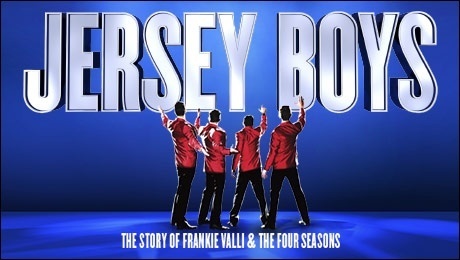 The musical retells the true life story of four boys from the wrong side of the tracks who wrote their own songs, invented their own unique sound and became Frankie Valli and the Four Seasons. Their success saw them go on to sell 100 million records worldwide but also tear apart their friendship. It's packed with well-known hits like December 1963 (Oh What A Night), Can't Take My Eyes Off You and Big Girls Don't Cry, but as well as the music, there is also a hard-hitting story. Visit the ATG Theatre website for tickets and information. Tickets start at £18. It's panto time again, oh yes it is. Birmingham Hippodrome, which has become synonymous with high tech, glamorous shows featuring famous names, is continuing its reputation with this year's rags to riches tale of Cinderella. 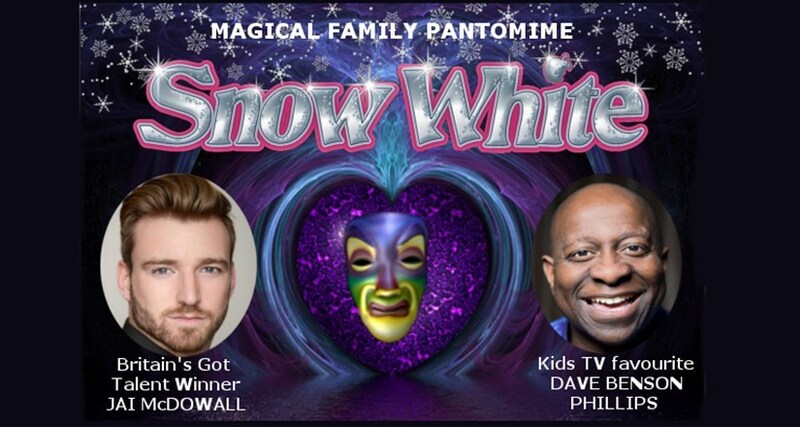 Billed as the 'fairy godmother of all pantomimes' it features singer Beverley Knight, Danny Mac, Suzanne Shaw and The Grumbleweeds. Their secret weapon - the hilarious Matt Slack - also returns to keep everyone laughing. Get ready for all the traditional buffoonery, stunts, dames and games that make this one of the best-selling pantomimes in the country. Age guidance is five and over. 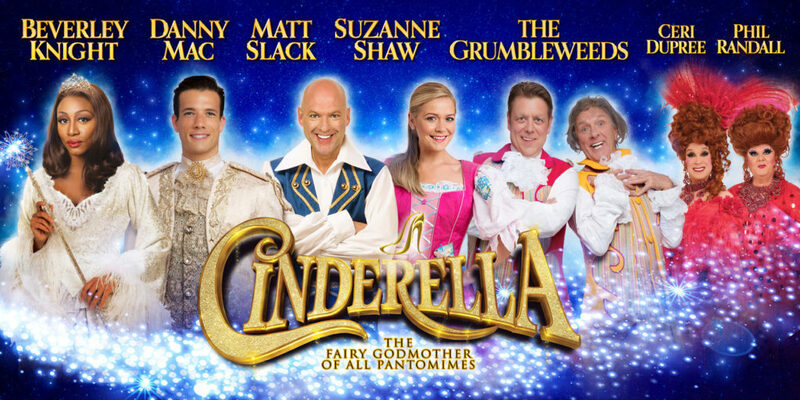 Visit the Birmingham Hippodrome website for tickets and information. Tickets cost from £19.50. 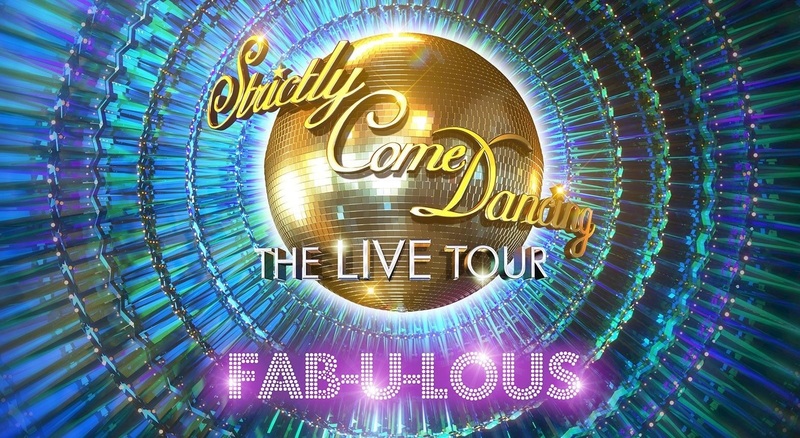 Helping to ease the blues as the Christmas season comes to a close is the start of the Strictly Come Dancing Live Tour 2018 in Birmingham. The tour gets underway at Arena Birmingham, formerly Barclaycard Arena, and will be a glittering night of dance, fun, sparkle and time to keep dancing. The first celebrities to sign up for the tour include previous winner Ore Oduba as this year's host plus judges Craig Revel Horwood and Bruno Tonioli. More from the current series will be announced soon. Craig Revel Horwood revealed: "I'm delighted to be back directing and judging the 2018 tour. I have lots of new surprises up my sleeve - next year is going to be bigger and better than ever before. With Ore as host and a new judging panel too, this tour will be just FAB-U-LOUS." Tickets start at £40.45 from the Arena Birmingham website.